Have you ever been to Parliament on King? You should – I will tell you why. Ravi, the owner has one of the biggest hearts on King Street. Everyday Ravi, and his wife Della, open the front room of their home, not only to serve the neighbourhood but to help cultivate hospitality skills among asylum seekers, such as coffee making, table waiting and food presentation. In August 2015, Parliament launched a social enterprise catering company, fostering knowledge and skills of their staff, focusing on ethical food, made with love. Every month or so, on a Saturday night, Parliament host’s Local Family Dinners, an opportunity for the cafe’s staff to host an evening dedicated to channelling the cuisine of their heritage. 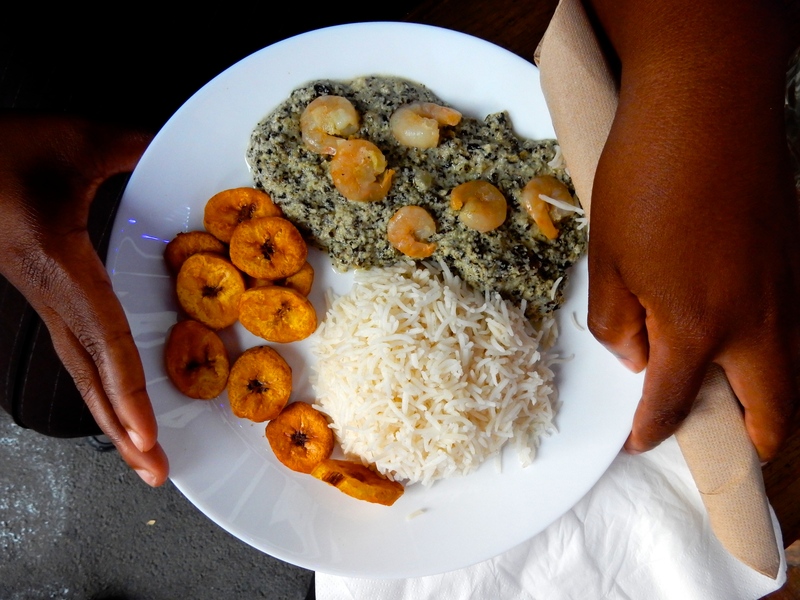 I recently attended the completely booked out From Africa with Love edition, hosted by Martin, who designed a Cameroonian menu for the evening, including a Ndole (bitter leaf) dish, served with stewed nuts, shrimp and fresh ginger. Continuing the tradition of nurturing, in addition to supporting new arrivals, Ravi hosts many events at Parliament that celebrate creative pursuits of people in the neighbourhood; Life Drawing, Parliament Zine Project, Show and Tell, The Secret Life of People that Draw, Write and Make things, and coming on Sunday the 20th of March; International Women’s Day All Day Mini International Food Festival between 10am to 8pm. At Parliament, those imaginary lines between friends, staff, strangers and customers are blurred, transcended and ignored. The dining area is intimate and exchanges between you and your neighbour can only be organic. Don’t be surprised if during your first meal or coffee at Parliament, you find yourself taking you own plate to kitchen to wash, or end up serving food to other customers. It is that kind of place. Drop in, say hi to Ravi and the gang, visit them on Facebook and also follow them here!